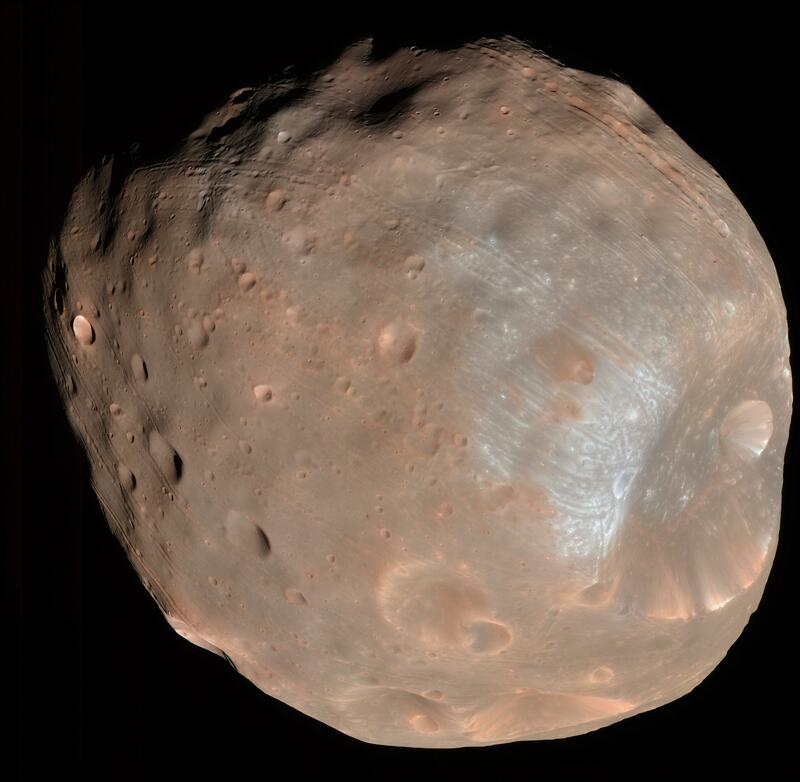 The High Resolution Imaging Science Experiment (HiRISE) camera on NASA's Mars Reconnaissance Orbiter took two images of the larger of Mars' two moons, Phobos, within 10 minutes of each other on March 23, 2008. This is the first. 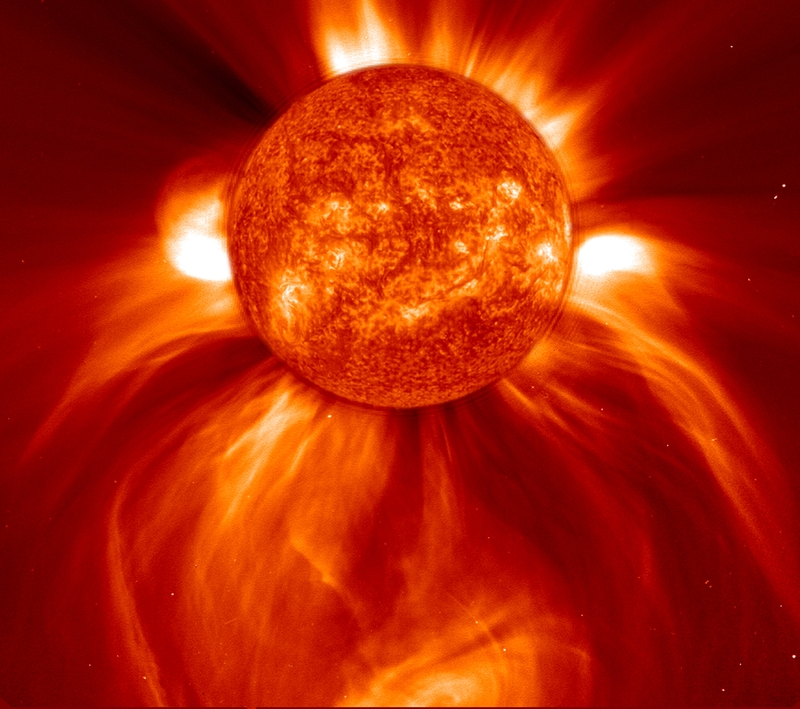 This picture, captured on Jan. 8, 2002 by the Solar and Heliospheric Observatory, shows an enormous eruption of solar material, called a coronal mass ejection, spreading out into space.